John Fowler, owner of 911 Restoration Jefferson County, has years of experience providing fire damage restoration to his incredibly profound community. “What keeps me going is the people. The work is hard, but people look at me for answers after a fire. I want to make sure I have them, and that they know things are going to get better,” he explains. That is exactly why he is proud to serve people a fresh start in the wake of a disaster. It is his guarantee that things will be like new, and that you will come home to something beautiful. Everyone deserves a chance to start over after an incident, and that renewed tomorrow should be one they can depend on. Whether it is Christmas, or new year, our fire damage Jefferson County team is available 24/7/365. After you call us, we will get to your door within 45 minutes with same day service. It is our promise that we will get you through this, so call us today! “Fires happen with no rhyme or reason. It could be that your cellphone battery blows up while charging, or even a wire just being overloaded. There’s not a lot homeowners can do to prevent one, but there is plenty they to do to be ready for it,” elaborates John. The fire damage Jefferson County team at 911 Restoration wants to impart to you some wisdom in order to get you ready for whatever may come. Smoke detectors will let you know of a fire, so that you may be able to put it out or evacuate the home if need be. Check them monthly, and replace the battery as needed. Space heaters should be set away from walls and curtains. 3 feet of clearing on each side is a good way to prevent an accidental fire. Check electronics for frayed wiring or exposed insulation. Replace and discard them as needed. Do not run wires behind couches or on top of carpets. Those areas are highly flammable. Keep a fire extinguisher on hand to fight small fires, but do not be a hero. Your safety is the number one priority. Evacuate the home. “When I tell a homeowner a job is going to get done, I mean it. I believe in full informed consent, so I always walk homeowners through the restoration process. From start to finish, you’re never in the dark,” explains John Fowler, owner of operator of 911 Restoration Jefferson County. It is important to us that you know your restoration company is working hard for you. So, we are proud to say that our fire damage Jefferson County team is IICRC certified. We aim to guide you through the dark days, so it is important that you can trust that we have what it takes to get you back on your own. 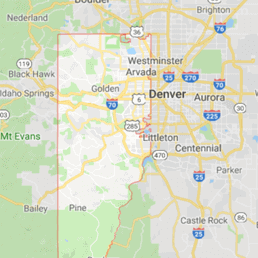 “After a fire, the home will be filled with pooling water leftover from the jet streams used to extinguish the flames. On top of that, ash, soot, and smoke stains remain. We assure you that we know what it takes to get it out,” boasts John. 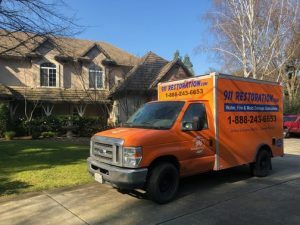 We hold water remediation, smoke removal, and odor elimination certificates that allow us to handle the restoration appropriately, and affordably. Every second matters in restoration efforts, as standing remnants of fire may continually damage the home, so we know how to effectively use our resources in order to get you back on your feet. 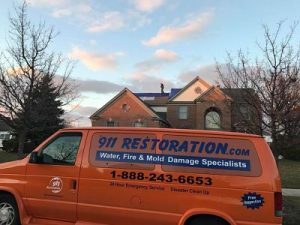 If your home or office location has recently been through a flare up of some sort, then contact our fire and smoke damage Jefferson County team with 911 Restoration Jefferson County to take care of it for you today!